Unproductivity and loss of drive can result from something nasty called decision overload. For the less clever clogs among my readers and those who may have forgotten, Brobdingnagian means hugely gigantic. 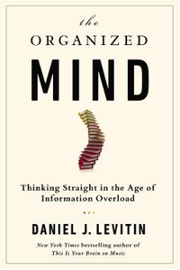 The author is a cognitive neuroscientist at McGill University, and this book is an ambitious attempt to bring research in neuroscience and cognitive psychology to bear on the more ordinary parts of our lives. You can watch him on YouTube, here. You never know, you might end up doing the really important things. Here is my regular round-up of marketing and business promotion issues plus other interesting things over the past week. Each week, I have included a section titled Technical Stuff. Also featured from now on is a section on Employment Stuff. These provide a useful reminder of some of the stories that emerged in the last week that touch on technical and employment issues. I hope that you find them useful. Every now and then, I include details of something on offer from BizeziaTM – for example, this is the last chance for you to buy the 2015 Budget Summary. 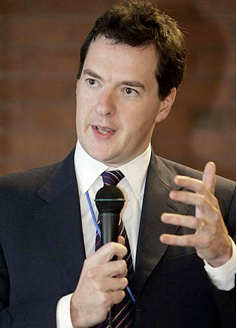 Chancellor George Osborne has chosen 18 March for his 2015 Budget. This will be the last Budget of this Parliament and is less than two months before the date of the general election. His update on the economy, including any tax announcements, will come just weeks before Parliament breaks up ahead of campaigning for the 7 May 2015 poll. The BizeziaTM 2015 Budget Summary is offered at an amazing price. It will be published on 18 March 2015, just a few hours after the Chancellor presents his proposals to Parliament. It’s available this week only @ £155 + VAT. That’s a ridiculous price for something that’s worth thousands. Anyway, the offer closes this Friday at 5pm. After then, it will cost £255 + VAT. The ICPA said glowingly of last year’s publication: “This is simply the very best publication on the Budget available anywhere”. See what you missed from the 2014 Budget publication, click here. You can now place your order here. Many more marketing ideas and tips have been published by Marketing Profs. Which Digital Marketing Tactic Has the Biggest Revenue Impact? What Motivates Recommendations on Social Media? From How to Geek: Mac computers include a Wireless Diagnostics tool that can help you speed up your Wi-Fi network and improve its signal strength. It also includes many additional tools for power users. This tool is useful for everyone from Mac beginners to experts, but it’s a bit hidden. It requires digging through your list of installed apps or just holding down the Option key as you click a menu. To open this tool, hold the Option key down on your keyboard, click the Wi-fi icon on the bar at the top of your screen, and select Open Wireless Diagnostics. You can also press Command+Space and type Wireless Diagnostics to search for it. By default, the tool opens to a simple wizard that helps you diagnose network problems. 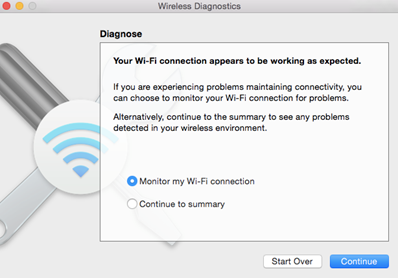 Select “Monitor my Wi-Fi connection” and click Continue to have the tool monitor your connection and attempt to detect any problems. You can also just select “Continue to summary” to see recommendations immediately. 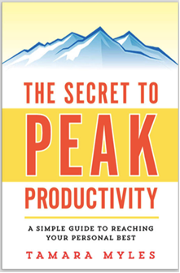 From TradePub: Here’s a simple guide to reaching your personal best: in this constantly-connected, do-more-with-less world, being able to increase your productivity is a real advantage. By downloading this free book, you will need to agree to receive regular updates about books from AMACOM, as well as new tips from the author, Tamara Myles. From How to Geek: Most characters you can type don’t appear on your keyboard, whether you’re using a physical keyboard or a touch one. Here’s how you can type them on your computer or mobile device. Windows: You can quickly insert special characters on Windows using Alt key codes. These require a separate numerical keypad on the right side of your keyboard, so they won’t work on most laptops. They’ll only work on desktop PCs if you have that number pad to the right of your Enter key. Mac OS X: Mac OS X has its own Character Viewer, which is easier to access. In almost any application, you can click the Edit menu and select Special Characters to open it. Locate a symbol in the window and double-click it to enter it into the text field in the current application. If you use specific special characters frequently, you can add them to your Favourites list so they can be easily accessed here. The list is more organized than it is on Windows. iPhone and iPad: You can type many additional characters on an iPhone or iPad’s touch keyboard by long-pressing the appropriate key. 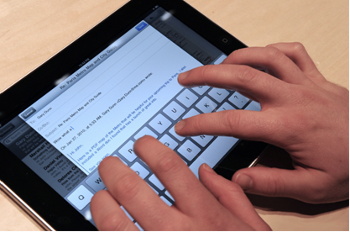 For example, to type the word “touché,” you’d type “touch,” long press the e key, and choose the é character. Android: Android’s keyboard works similarly. Long-press keys on the keyboard to access related characters and symbols. For example, long-press the e to find the accented e characters. Long-press other symbols — like the currency symbol — to access additional related symbols. 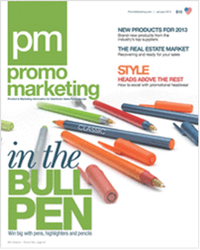 Promo Marketing is the leading publication serving the $15.6 billion promotional products industry. Written and edited for distributor sales professionals, Promo Marketing is dedicated to helping them increase sales. Supplier products are showcased in a high-impact, easy-to-read format and feature topics are chosen to improve distributors’ selling opportunities. From Marketing Profs: Before the challenges of marketing an app overwhelm you, get answers to all of your important questions—from acquisition to revenue. 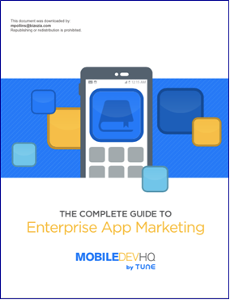 Framed around the app marketing cycle, The Complete Guide to Enterprise App Marketing takes a close look at David McClure’s Pirate Metrics to help educate you on developing the ideal app marketing strategy. With over 115 pages filled with tips, tactics and real-world examples, this ebook is an essential resource for marketers, developers, CMOs, and everyone in between. From How to Geek: The author says: We like having multiple virtual desktops on OS X, especially when we can supercharge them by combining them with a few simple keyboard shortcuts. 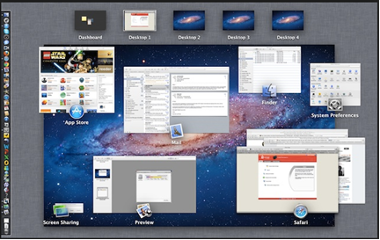 So, on that note, here are some practical ways to use OS X’s virtual desktops like you mean it. Virtual desktops are hardly a new concept. They’ve been around for quite some time, especially on various Linux distributions, and now more recently, they’ve been added to Windows 10. Apple’s own take on virtual desktops Spaces, has been around since the introduction of Snow Leopard in 2009, and in the latest OS X release, Yosemite, we find it alive and well. Out of the box, Spaces works great but it can be so much better with a few simple keyboard shortcuts. To access your Spaces, you can use the Mission Control button (aka F3) on your Mac’s keyboard. If you’ve no idea what we’re talking about when we say “Mission Control,” then you should definitely read the Mission Control 101 article. From UK BusinessInsider: By Sara Silverstein: Microsoft Excel is an amazing piece of software, and even regular users might not be getting as much out of it as they can. Improve your Excel efficiency and proficiency with these basic shortcuts and functions that absolutely everyone needs to know. From Simply Measured: Improve your brand’s performance on Twitter and take your strategy to the next level with this four-part kit. This collection of resources is designed to help you master the channel and develop a Twitter strategy that works for your brand. 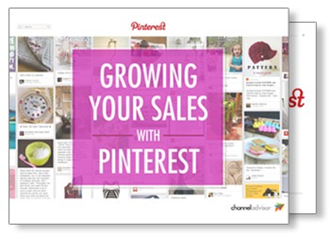 Found in Channel Advisor: With its high-quality images, shareable content and 70 million users, Pinterest seems like a social network made with retailers in mind. If you’re not on Pinterest yet (or even if you are), find out how to best use the site to showcase your brand and products. More from Simply Measured: By Kevin Shively: Videos seem to be all we hear about lately. New native videos on Twitter, enhanced video service on Snapchat, and in their Q4 2014 Earnings Call, Mark Zuckerberg announced that there are over 3 billion video views on Facebook each day. This number is no fluke. Facebook is putting serious weight behind native videos, which now autoplay in users’ feeds. Many marketers on Facebook have started to see more reach from videos than other media types, including photos. The latest Briefings from AccountancyAgeInsight are listed below. Click on the hyperlinks for details for each item. In CFO.com, By Matthew Heller: Audit reviewers may be unduly influenced by preparers’ feelings about individual clients, finds recent research. Those lunches or other gatherings where audit preparers vent or enthuse about a client to accounting-firm reviewers may have a counterintuitive effect on the reviewer’s judgment, according to a new study. The conventional wisdom is that reviewers who are aware of a preparer’s positive or negative feelings toward a client will correct for those biases, not allowing them to influence the final audit. The reality, though, may be quite the reverse. University of Pittsburgh researchers found in a paper published in The Accounting Review, the journal of the American Accounting Association, that a reviewer’s awareness of bias may cause them to rely more on the preparer’s judgments than they would without such awareness. The study’s findings were derived from an online experiment involving 119 audit managers and senior managers from two Big Four accounting firms who had an average of 9.37 years of experience. From Smart Company, By Eloise Keating: What separates the good companies from the great? 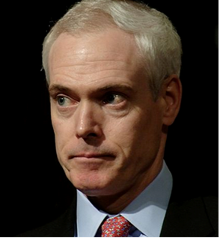 This was the topic of a three-hour session with business guru Jim Collins [pictured] in Melbourne on 3 March. Collins, the author of six books, including the best-selling book Good to Great, was a guest of the Growth Faculty’s 2015 Growth Summit, alongside Verne Harnish and Liz Wiseman. Addressing 1500 entrepreneurs and managers yesterday morning, Collins distilled 25 years of research into “what makes great enterprises tick” into 12 questions that all business owners and leaders should seek to answer. The process of answering the questions will reveal the principles leaders need to make their companies great, he said. But before he revealed his 12 steps, Collins walked the audience through what great leadership is. Collins says it is common for leadership to be confused with a big personality, but most of the leaders of great companies he has come across through his research had “a charisma bypass”. Instead, Collins defines leadership as “the art of getting people to want to do what must be done”. “First you have to decide what must be done,” he said. From Citrix Systems UK Limited: Look at any great leader from history — in business, sport, military or any other industry — and you’ll notice a wealth of distinctive character traits, from strength and determination to intelligence and eloquence. But which traits are common to all great leaders? 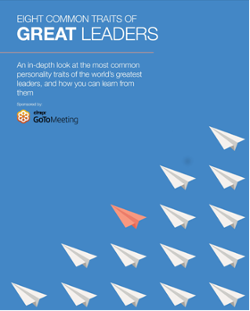 There’s no need to guess – just download this FREE eBook, where we examine eight of the most common traits of truly great leaders, from empathy to decisiveness, from vision to calmness under pressure. Learn 8 common traits of the best leaders, then how to avoid doing the things that can bring it all crashing down. 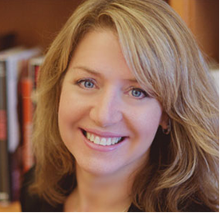 From Smart Company: There are two types of leaders, according to author and researcher Liz Wiseman [pictured]. Some leaders encourage intelligence and creativity in their employees, creating other leaders, while others “shut down the smarts of others and waste talent and intellect”. Speaking at the Growth Faculty’s 2015 Growth Summit in Melbourne alongside Jim Collins and Verne Harnish, Wiseman said leaders who are able to get the best out of their teams are “multipliers”, while those that do the opposite are “diminishers”. Named as one of the top 10 leadership thinkers in the world, Wiseman spent 17 years as an executive at software giant Oracle before switching to research and founding leadership research and development firm, the Wiseman Group. Among her recent clients are Apple, Nike, PayPal, Salesforce.com and Twitter. Wiseman is also the author of Multipliers: How the Best Leaders Make Everyone Smarter and The Multiplier Effect: Tapping the Genius Inside Our Schools. On Tuesday she offered 1500 entrepreneurs and business leaders insights from the research that informed both books. In her research, Wiseman studied 150 leaders to determine what the role of a leader is in creating a brilliant team and the conditions under which people do their best work. 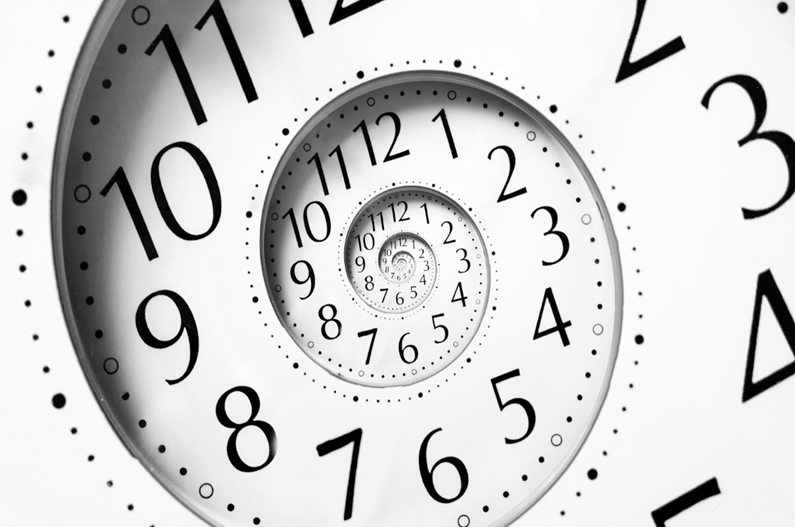 From AccountancyAGE, written by Chris Warmoll: The Financial Reporting council (FRC) has expressed its delight at the take-up rate and level of innovation demonstrated by the profession over the requirements for extended auditor’s reports. First announced in 2013, the requirements call on auditors to describe the assessed risks of material misstatement, materiality and the scope of the audit, which is beginning to shed more light and transparency on a process that had previously been described as a “black box” by investors. The profession’s watchdog hopes this trend will be converted into “improved justifiable confidence” in audit. Much of the FRC’s optimism has been gleaned from the contents of its newly published survey, Extended auditor’s reports: A review of experience in the first year. Could your Organisation Move to an Empowerment Culture? From Niojak.com, By Gary Cattermole who asks: What is an Empowerment Culture? Employee empowerment is a management practice of sharing information, rewards, and power with employees so that they can take initiative and make decisions to solve problems and improve service and performance. Empowerment is based on the idea that giving employees skills, resources, authority, opportunity, motivation, as well holding them responsible and accountable for outcomes of their actions, will contribute to their competence and satisfaction. It essentially flips the traditional hierarchy of an organisation on its head, from a traditional ‘top down’ management structure to one where responsibility is placed with the employee. Many organisations will have an employee engagement expert as part of the HR team, which will work with staff to increase levels of wellbeing and productivity in an organisation; and employee engagement is the first step on the road to creating an empowered culture. However, it’s a big step forward, but one that if you get right can lead to a more entrepreneurial business, which in our service-driven economy, can lead to increased profitability. But where do you start? With Spring just around the corner, and the end of the financial year for many, you may be thinking of growing your business and recruiting your first employee or taking on more staff. Social media in the workplace Using social media for recruitment is a growing trend as a cost-effective method to help widen your pool of candidates. Here are some tips on taking this approach. From Advisor for Business: Secondments offer a number of benefits for employers and employees. However, employers that are considering agreeing a secondment arrangement need to be aware of the potential issues that can arise. For example, which organisation will be the individual’s employer during the secondment and what happens when the arrangement comes to an end? Example clauses that employers can use when agreeing a secondment. The guide is published by XpertHR, the UK’s leading online resource for employment law, HR good practice and benchmarking, bringing together everything HR professionals need to stay compliant with legislation changes, operate cost-effectively and maintain a competitive edge. From amp.dynamicsignal.com: No matter how expert your marketing and PR teams are there are physical limits as to how much time they can spend on social media engagement. 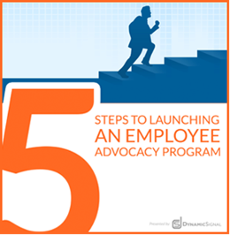 Launching an employee advocacy program is a great way to expand a company’s digital footprint and reach a wider audience. The Office of Tax Simplification (OTS) published its report into simplifying the difficult issue of how to determine whether a worker is employed or self-employed for tax purposes. The report lays bare the complexity of the current system with different tests for employment used for tax, employment law and pensions auto-enrolment. There is no definition of self-employment in law leaving businesses, individuals and HM Revenue and Customs (HMRC) to wade through case law to establish employment status. Special categorisation rules and practices help some but can create anomalies. The consequences to employers of an incorrect decision can be significant tax and National Insurance Contributions (NICs) bills, leading many to hire contractors only through intermediaries. The tax system is stuck in an out-of-date mind set. In the 1950s and 1960s the distinction between employees and the classic self-employed jobbing plumber was clear and easy. Nowadays working patterns are hugely varied, freelancing is a way of life for many and that simple split doesn’t work often enough. This causes uncertainty, risk and administrative burdens all round. We have heard from businesses about transactions being delayed or even abandoned due to the risk posed by employment status uncertainty. This is a difficult area with no simple solutions. We identify both direct ways of simplifying things – such as streamlining definitions – and indirect ones, which would take the heat out of the issue. Some should be acted on in the short to medium term, others are promising routes to reform that warrant further work but which would mean major changes. Setting up a HMRC employment status helpline and allocating more resources to this area. The OTS believes that HMRC’s Employment Status Indicator (ESI) tool is a valuable resource, but it needs to be expanded and protocols developed so it can be relied upon.